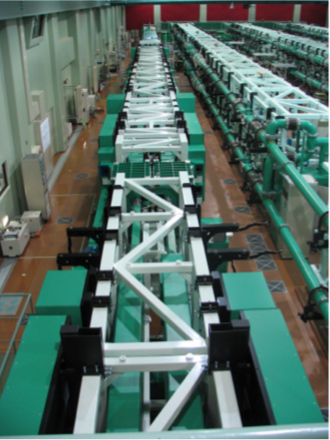 GEKKO-XII is at Top 1 in Japan and Top 4 in the world of the large laser facility. 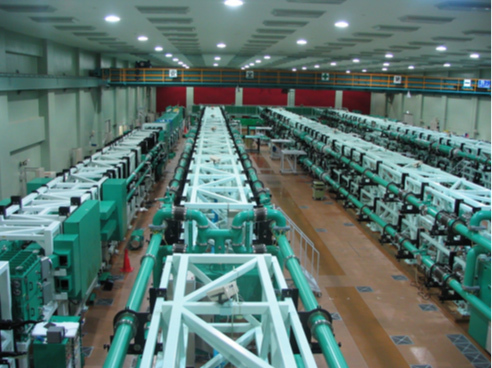 The facility is a large Nd:glass laser system constructed at 1983. Fundamental wavelength is 1.053 micron, and the wavelength can be converted to 0.53 or 0.35 µm with a large nonlinear crystal. This system consists of 12 beams and this can deriver 50 TW and 24 kJ of laser energy. 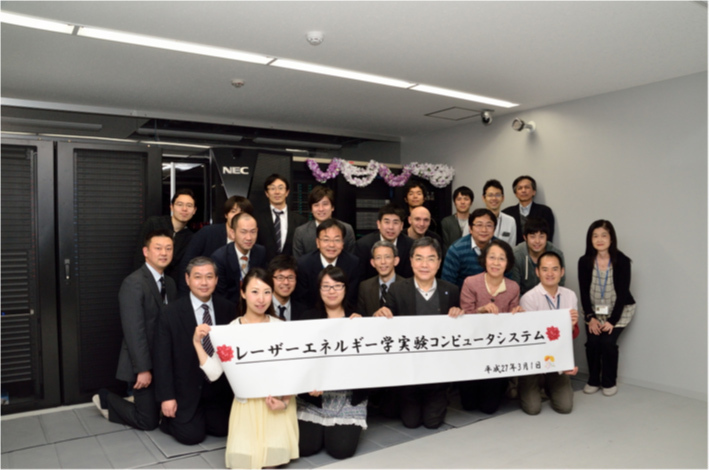 Remarkable achievements for inertial confinement fusion, plasma & beam physics, laboratory astrophysics, and plenary science and industrial applications were obtained with this facility. Construction of the LFEX system was started at 2003 and all four beams were in operational at 2014. Output energy, wavelength and spot size of the laser pulse are 10 kJ/10 ps, 1.05 µm, and 30 µm, respectively. 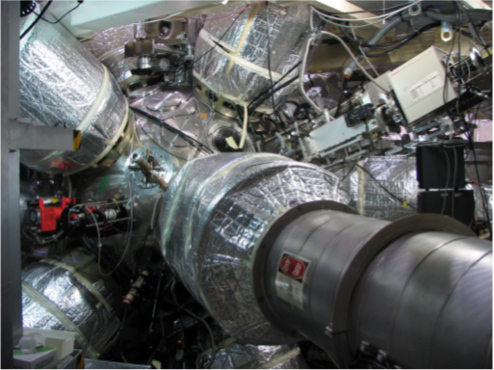 The LFEX is the world largest Peta-Watt laser system, and the LFEX laser is being used for nuclear fusion, relativistic plasma physics and nuclear science studies. There are two vacuum chambers, in which high-energy-density plasmas are generated. In the chamber-I, a target can be irradiated uniformly by 12 GEKKO laser beams arranged in spherically symmetric geometry. 4 LFEX laser beams are also available in the chamber-I. In the chamber-II, the 12 GEKKO beams are bundled. A planar target is irradiated uniformly by the bundled 12 beams from the one-side. Simulation by a large computer is frequently used in the laser-plasma study, because it is too difficult to understand fast-transient phenomena in a small plasma only by experiment. It is essential to design laser and target parameters with simulations before experiment. Simulation plays important roles from the beginning to the end of the research. 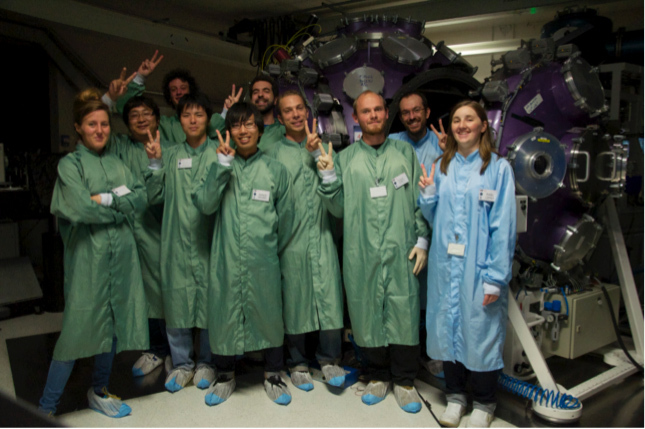 Up to now, we have join experiments performed on LULI2000 (France), OMEGA (USA), and OMEGA-EP (USA).